If you are travelling to the venue on your bike, don't forget to bring a suitable lock for the storage units. Your Ticket - this will be attached to your confirmation email when you book and have a QR code on which will be scanned on arrival. This can either be printed or presented on your phone or tablet. When do I get my shorts if I booked a premium ticket? Your ASSOS shorts will be ready to collect at the Track Day you are attending. What time do the events run from and to? Gates will open at 10am and the track closes at 4pm at all of our events. Is there a minimum age to buy Track Day tickets? All cyclists must be over the age of 16 to test bikes and gain access to the tracks. Anyone under the age of 16 who wishes to attend can do so under a complimentary spectator pass and must be supervised by an adult at all times. Your ticket includes a coffee and a hot lunch on the day, with special dietary requirements also being catered for. Hot and cold drinks will be available to purchase on site. The lunch times will be staggered in order to avoid large queues. We will inform you of your lunch slot by email prior to the event. Do the venues have car parking facilities? Please check with each venue regarding parking facilities and travel. This information will also be in included in your ticket and confirmation email. 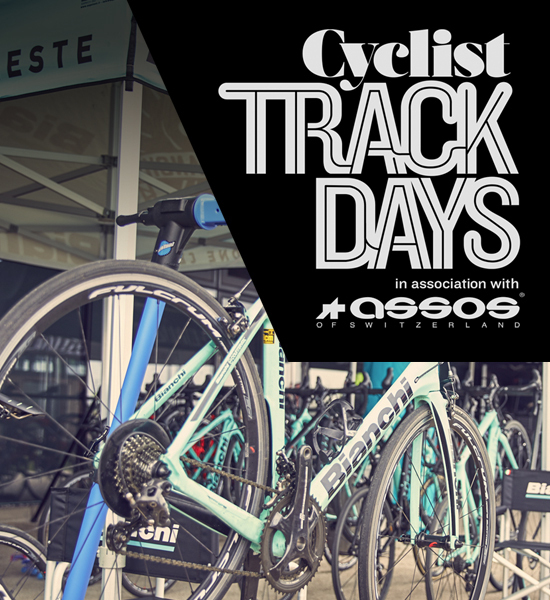 The Cyclist Track Days are fantastic opportunities to test and compare some of the best bikes on the market, meaning that the track is reserved for bikes provided by our sponsors only. Can I reserve test bikes in advance? Bikes cannot be reserved ahead of the event. We will make every effort to ensure that everyone gets to ride as many of these bikes as possible over the course of the day, but please note we cannot guarantee the availability of any bike. All bikes will be booked on a first come first served basis. Only one bike can be taken out at a time. We recommend testing the bike for no longer than 20 minutes. Are there lockers and changing facilities? Further information on the venue facilities, including lockers and changing rooms, will be sent to you with your ticket and confirmation email. Please allow up to 24 hours to receive your confirmation email and remember to check your junk folder. 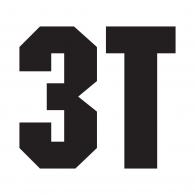 If you have any problems, please contact the Cyclist team at cyclist_events@dennis.co.uk who will be more than happy to assist. Yes, family and friends are welcome to attend as spectators and can buy tickets which will include lunch and a hot drink. Please note that spectators are not allowed on the track. Will my ticket be posted to me? You will receive your tickets attached to your confirmation email. You may either print them or display on your mobile at the registration desk on the day of the event. On arrival you will be presented with an event lanyard that includes your free lunch, hot drink and goody bag vouchers. Can I get a refund or switch my ticket to another location? What size bikes will be available at the Track Days? While we do our best to cater for all riders, the bike selection from each brand at the Track Day will likely include frame sizes from 50cm up to 58cm.